Rev. Robb A. McCoy is pastor of Two Rivers United Methodist Church in Rock Island, Illinois. He graduated with a BA in History from Illinois Wesleyan University in 1999. After spending time in world of sports journalism, he started his career in ministry as a youth director in Central Illinois in 2002. While at Eden Theological Seminary, he served as Minister of Education at Eureka (Mo.) United Methodist Church. 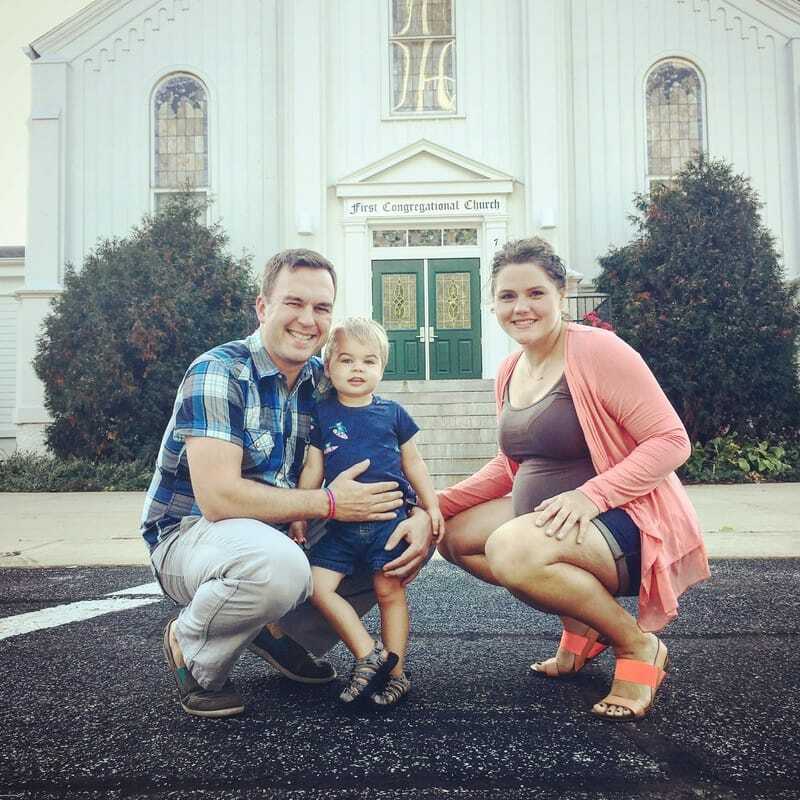 After graduating in 2006, he moved back to Central Illinois after being appointed to be the senior pastor of Chenoa UMC. He was ordained an Elder in the UMC in 2010, and was appointed to Rock Island in 2014. In addition to his pastoral role at Two Rivers, he is the chairperson of the Illinois Great Rivers Board of Church and Society, and is a Healthy Families, Healthy Planet Ambassador. Pastor Robb has a passion for preaching and teaching. He loves to challenge people with a new understanding of the gospel. He has said many times before that the greatest compliment anyone can give him after a lesson or sermon is, "You really got me thinking." He and Sarah met at Illinois Wesleyan in 1998, and were married in 2001 on the campus of IWU. They have two young daughters, to whom Robb is hopelessly devoted. Robb is also knownin the blogosphere as "The Fat Pastor." His blog can be found at www.fatpastor.me. In 2012, Robb was inspired to take his fitness seriously, and lost 70 pounds in a year. He is still known as The Fat Pastor, but prefers to focus on the theme, "Love God. Live Well. Do Good." Rev. Eric C. Fistler is the pastor to the First Congregational Church of Crystal Lake. Originally from Chicago, he majored in Religion and Ancient Philosophy at Augustana College in Rock Island and graduated with his M. Div from Eden Theological Seminary, Webster Groves, MO. Pastor Eric is ordained in the United Church of Christ and, prior to being called to Crystal Lake, served congregations in Florissant, MO, Northampton, MA, and West Suffield, CT . In addition to his passion for parish ministry, Pastor Eric has been actively involved in peacemaking in Israel-Palestine through the World Council of Churches Ecumenical Accompaniment Program in Palestine-Israel. In 2005, Pastor Eric received the “Blessed are the Peacemakers” award from the World Council of Churches his contribution to this ministry. Pastor Eric Eric is also a founding member of Cathedral in the Night, an emergent street church in Northampton, MA, which all people: the homeless, the housed, the church-less, the churched, the student and the resident to explore, question and live out their spiritual beliefs. From 2015-2016 Eric was a member of the inauqural cohort of the Chautauqua Clergy Leadership Program. Eric and his wife Nina met in college and were married in 2008 at The Congregational Church of Saint Charles. Their son , Samuel Kelly Fistler, was born in July, 2014. When not serving his church, being a Bible geek or spending time with family, Eric enjoys reading, running, playing World of Warcraft and building computers. Robb and Eric met in class at Eden Theological Seminary, got to know each other while playing volleyball on Eden's church league team, and became friends after the games over pizza, wings, beer, and Police Trainer at Smugala's. Robb and Sarah and Eric and Nina spent almost every weekend together while they were in seminary, and are still able to get together every once in awhile. This picture was taken over Thanksgiving weekend, 2013. They share a common passion for justice, mercy, and an abiding love for Jesus. They also a share a love for good scotch, the Bears (we won't talk about baseball), Anchorman, The Office, and Star Wars.